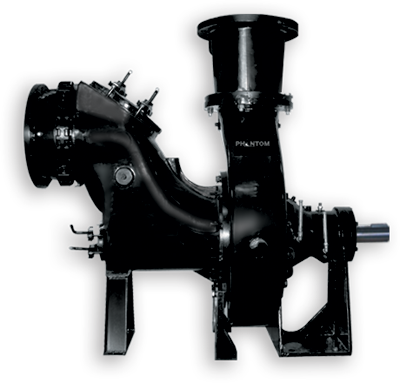 The PL-12 self prime pump from Phantom Pumps is suited for a wide variety of applications, including industrial, wastewater treatment, shallow well pumps, fire departments, industrial effluents treatment and more. This pump is able to fill so many needs because of its ability to fit many flow and pressure specifications and configure to both high and low pressure settings. So, whether you need a submersible backup sump pump for a mining operation or a dewatering pump for a construction site, the PL-12 is the product for you. All of our self priming pumps are interchangeable with other reputable brands like Gorman-Rupp and others, so our customers can rest assured that they will receive an expertly crafted product that will make maintenance and repairs exceptionally simple and cost effective. For additional information about the PL-12 self prime pump or other products, please call or e-mail Phantom Pumps today. We have distributors located throughout the Southeastern US and can ship our products anywhere worldwide.